Last week SLU announced that construction will soon begin on a boutique hotel to be called Hotel Ignacio that it is developing in partnership with the Lawrence Group. The project, which involves renovation of a historic building dating from 1905 at the intersection of Lindell Boulevard and Olive Street, hopefully marks a dramatic change in direction from SLU's previous scorched earth techniques of dealing with properties around it's Midtown campus. 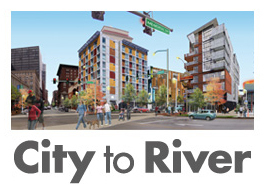 The rendering of the hotel, which was first announced last year, accompanying last Thursday's press release on SLU's website shows a part of the project that is a refreshing surprise: the re-opening of a street that was closed off nearly 25 years ago. 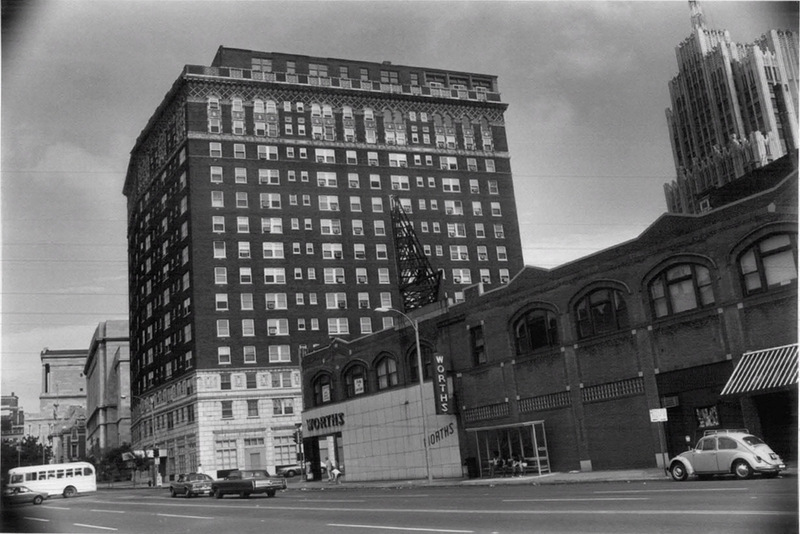 The block of Josephine Baker (historically known as Channing) between Olive and Locust was vacated as part of a historic renovation project in the mid 1980's which transformed the former Drake Plaza Hotel into apartments. 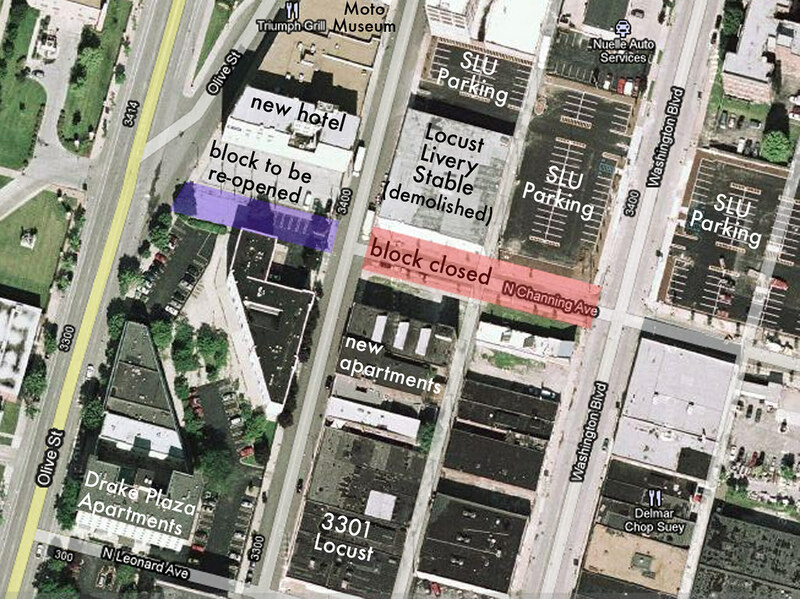 SLU must have struck a deal with Kohner Properties, owner of the Drake Plaza Apartments to purchase the portion of the street which had been turned into parking for the apartments. The former Interiors Unlimited building at left will be transformed into the hotel. East of the building is a parking lot that SLU has been using as a through street to access the sea of parking to the north. This space will become the hotel's front door and drop-off. Next east, blocked by a couple of planters is the original street that will re-open. The opening of this long closed street now is sadly ironic since SLU closed the next block north of the same street between Locust and Washington in 2008 after demolishing the adjacent Locust Livery Stable in 2007. 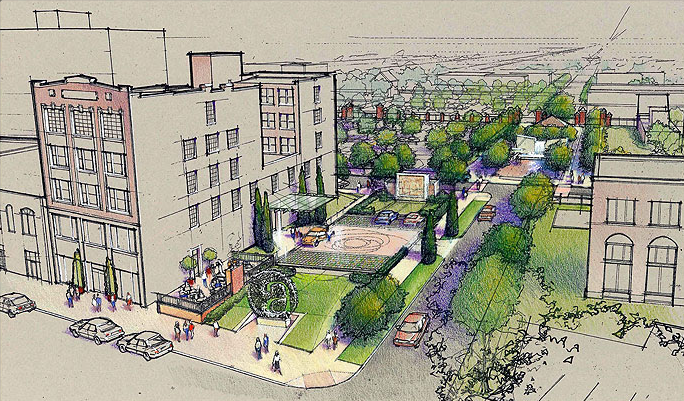 SLU apparently has no intension of re-opening this more recently closed section of Josephine Baker, as the hotel rendering shows what appears to be a sculpture garden and possibly a pavilion at the north end of this block. In essance, SLU will be trading one block of the street for another. East of the to-be re-opened street is the Drake Plaza Apartments which is composed of the former Drake Plaza Hotel and what is commonly known as "the pink building". 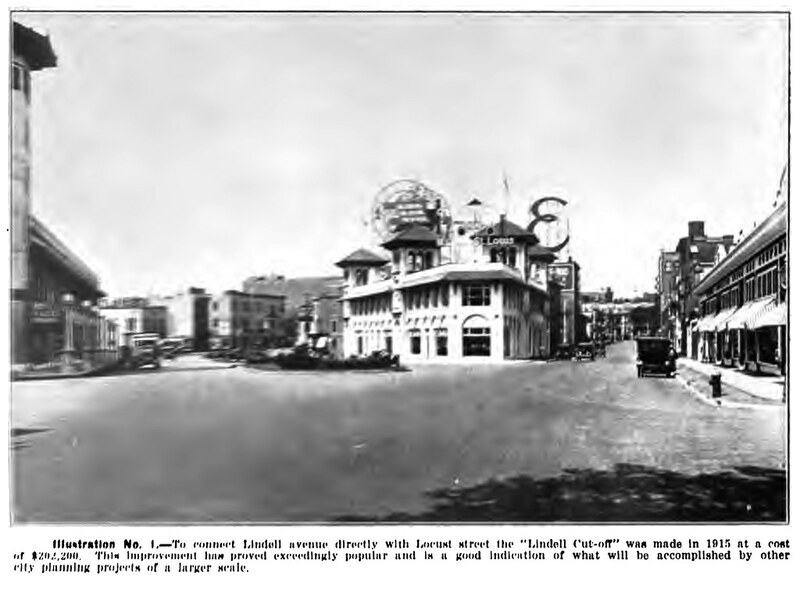 Between these two was a strange angled one-block mini boulevard known as the Lindell Cut-off that was constructed in 1915 (photo from The Problems of St. Louis by Harland Bartholomew of the City Plan Commission.) Unfortunately the mid-1980's renovation project also resulted in the closure and vacation of Leonard Avenue between Olive and Locust. 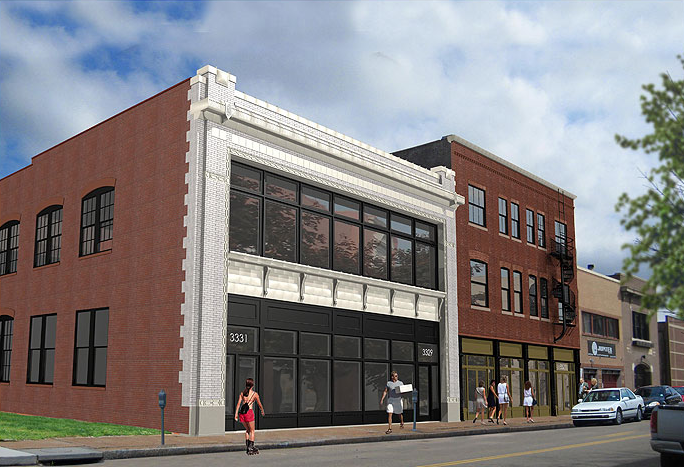 Also mentioned in the press release is another positive development, the rehabilitation of two buildings on Locust just east of Josephine Baker into 25 apartment lofts and flats (rendering above). After the demolition of the Livery Stable, many feared that these buildings would be next to fall for additional parking lots. Like the hotel, this project also is the result of a partnership between SLU and the Lawrence Group. Both the hotel and apartment building will contain leasable tenant spaces which with the Hotel and apartments will add to the vitality of the Midtown Alley district. Steve Smith of the Lawrence Group was already well invested in the block that will contain the new hotel with the Triumph Grill and the Moto Museum, which houses Smith's amazing collection of motorcycles. On the east end of the block where the new apartments will be located SLU had made a major investment in a large one story building at 3301 Locust. The building had apparently been in poor condition for some time, and the entire roof structure and front wall were re-built in 2008. 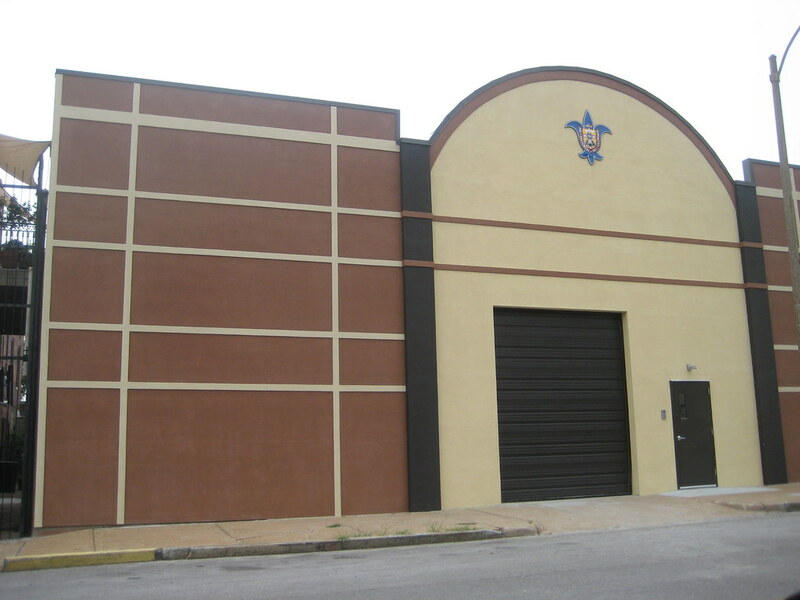 Unfortunately, the entire front wall is solid stucco with no windows and only a couple of garage doors. 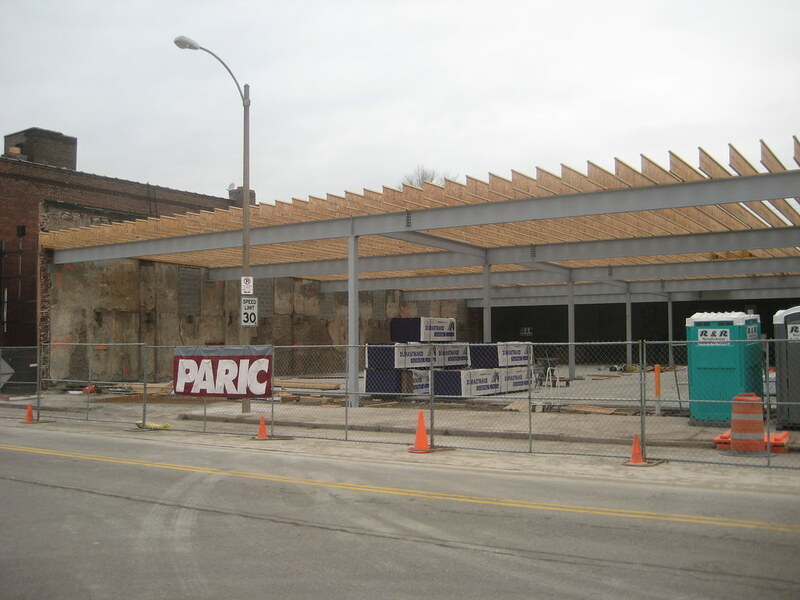 As the pre-construction photo above shows, the storefronts had already been bricked-in, but instead of opening up the front and creating commercial lease spaces which would have helped extend the amazing transformation of Locust that has occurred along several blocks to the east. Instead, the building is apparently used only for storage. 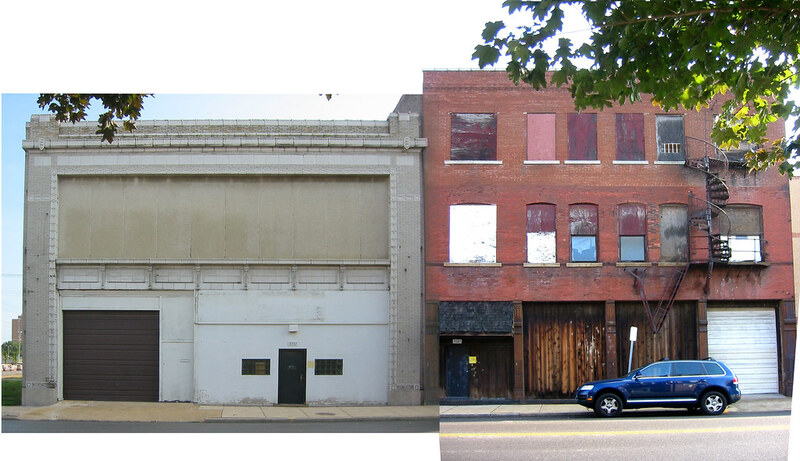 The lifeless re-built facade of 3301 Locust. Take another look at the historic photo above. 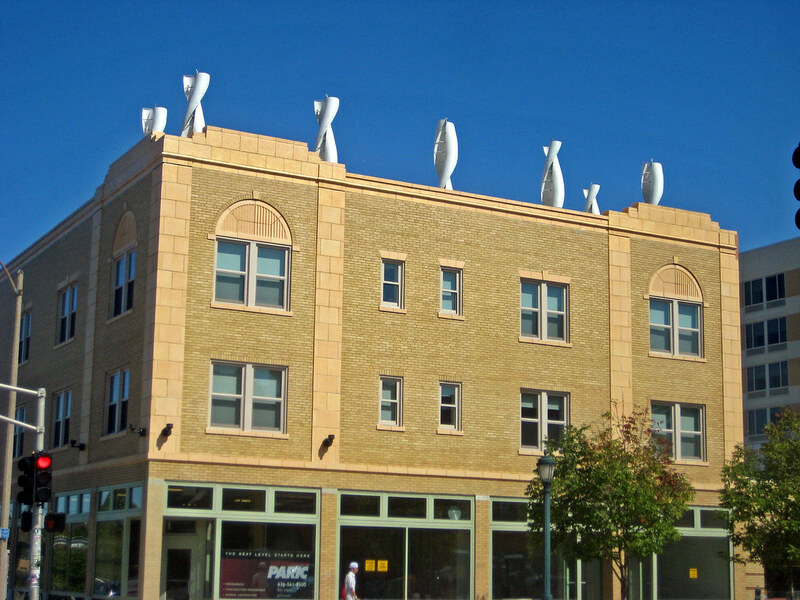 The storefront building with awnings at the right edge of the photo is the same building. It is strangely ironic that SLU spent so much money literally re-building this building after demolishing the Livery Stable just one block west which was in fairly good condition. A close-up of the facade at 3301 Locust. 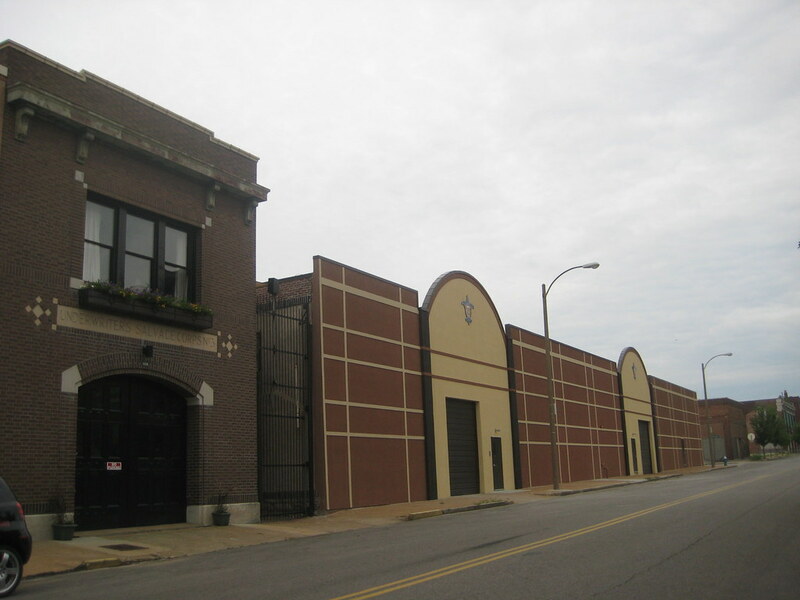 Fortunately, it would be fairly easy for SLU to reverse the decision to create a solid wall here, continue what is hopefully a radical shift in development strategy and put in new storefronts to enliven the street. 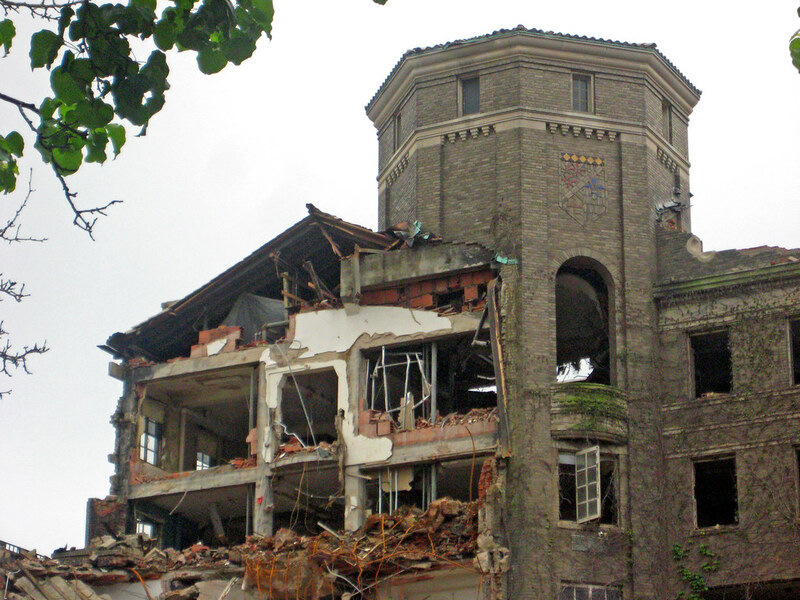 Demolition of Mother Concordia Hall on the campus of St. Mary's Hospital in Richmond Heights is well under way. In just over a week, the entire north wing is gone, as is the roof of the west wing. 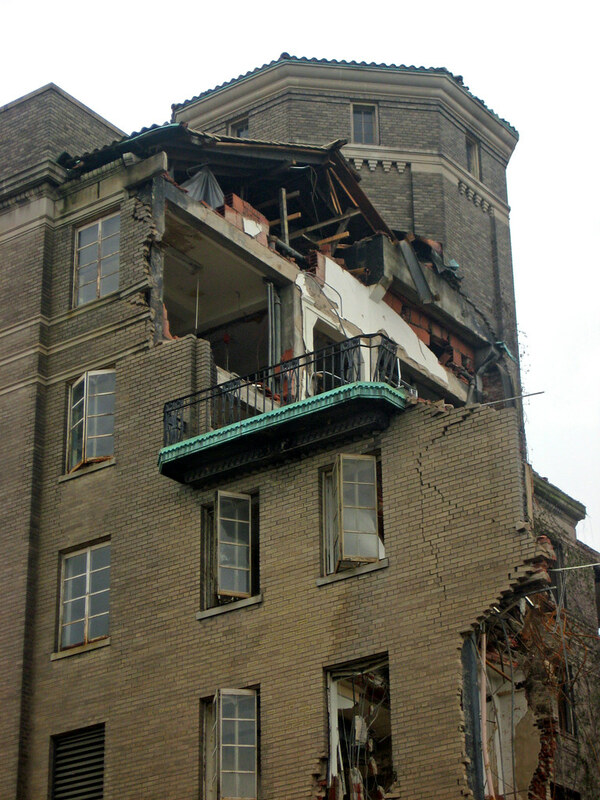 Earlier this week, St. Louis Patina posted some photos and video of the wrecking ball pounding the north end of the fifth floor chapel which faced Clayton Road. Debris is piled high in front of the building entrance. The last remaining of six balconies which opened off the sides of the chapel. 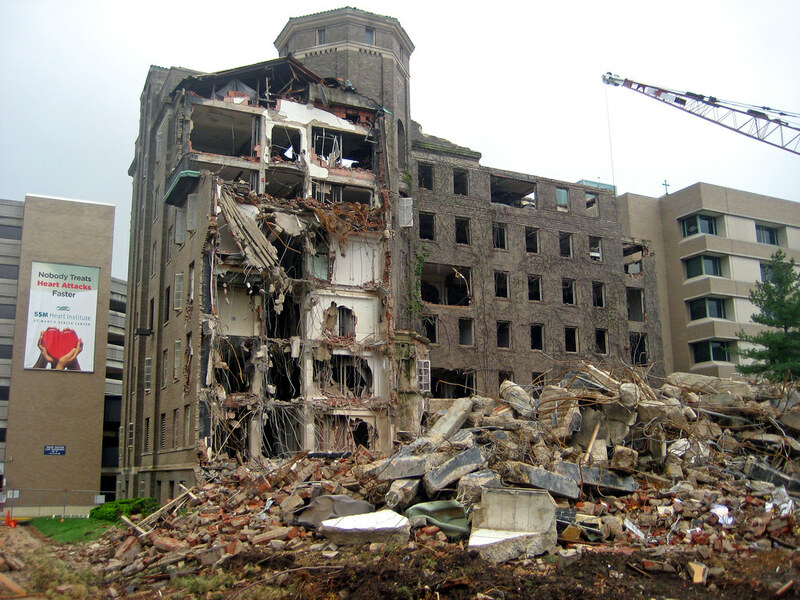 I did not get a chance to see the inside of Mother Concordia Hall. I had thought about hopping the four foot fence along Clayton Road and walking in, but after being questioned by a guard about why I was photographing the building, I decided to not push my luck. Thanks to reader Sublunar, however, we can see what the interior looked like through photos he posted on his blog. 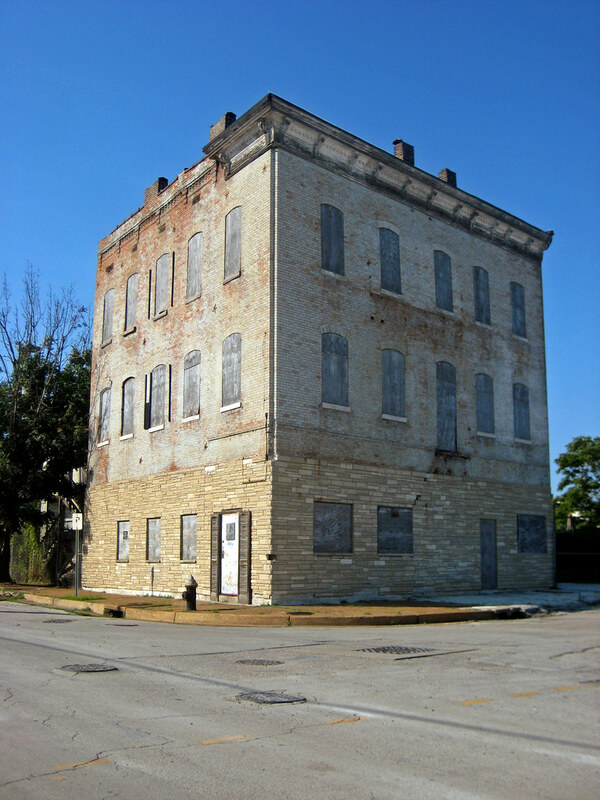 Earlier today, Matthew Mourning of Dotage St. Louis posted a thorough story about Kosciusko and the demise of one of the areas few remaining historic buildings located at Victor & Kosciusko Streets. 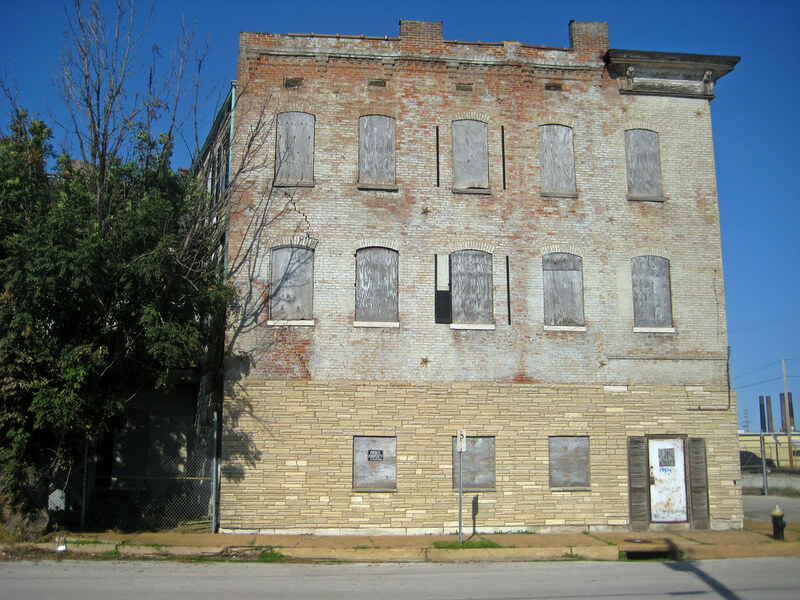 I photographed the building after it had been listed as a proposed demolition in the September 2009 Preservation Board preliminary agenda. 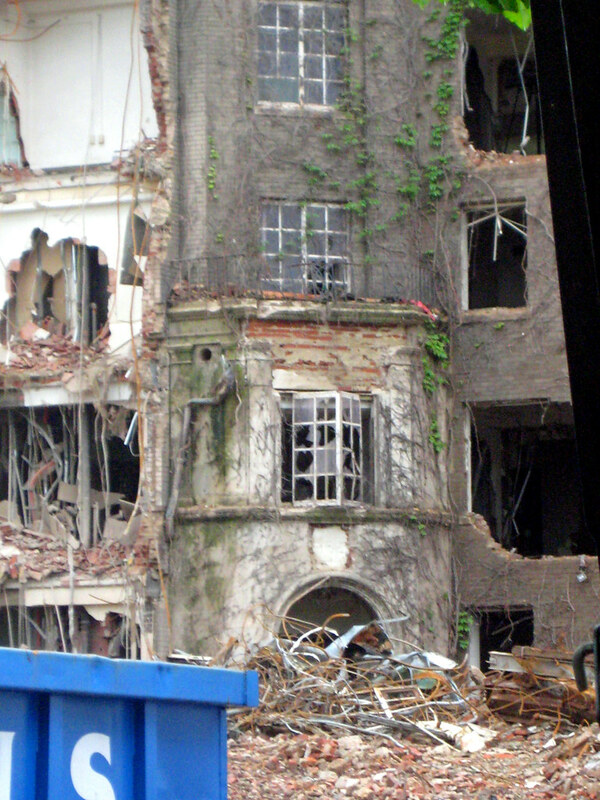 As Matthew mentioned, the building was mysteriously pulled from the agenda, but met its demise anyway without the chance for public comment. Matthew pointed out that the sketch of the building from the 1875 Compton & Dry aerial view shows the building as two full stories with a sloped roof, not three. A close comparison of the windows at the second and third floor shows that the upper level openings are slightly narrower than those below. Also, the sills on the second floor appear to be limestone, and those on the third appear to be wood. Both of these factor lead me to believe that the building was altered with a third floor addition to add space to the building. The rear wing shows the cantilevered second floor gallery porch running the full length. I suspect that the rear wing and the front portion were always one building, as this type of wing off the back was fairly common. The construction of the porch is somewhat unusual though as is its relationship to Victor due to the angle of the intersection of the two streets. 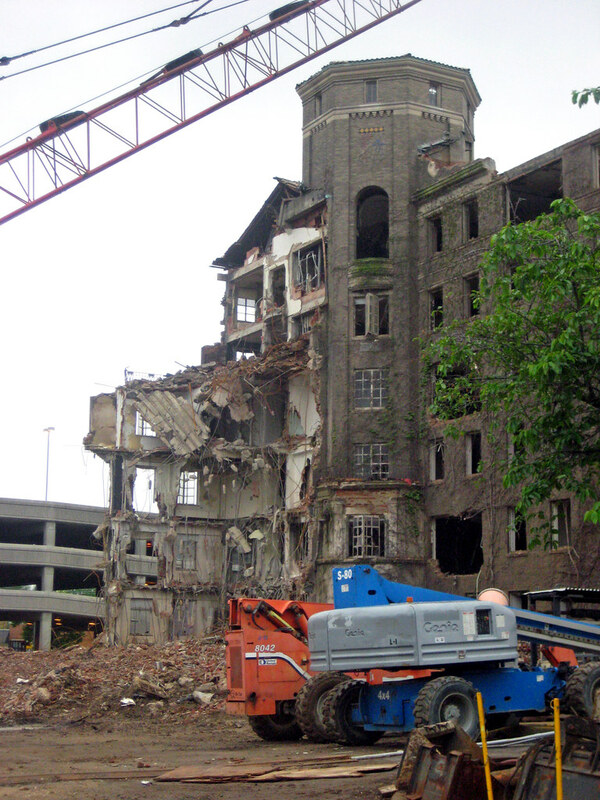 This demolition leaves Kosciusko with one fewer of what has become an extreme rarity for the area. 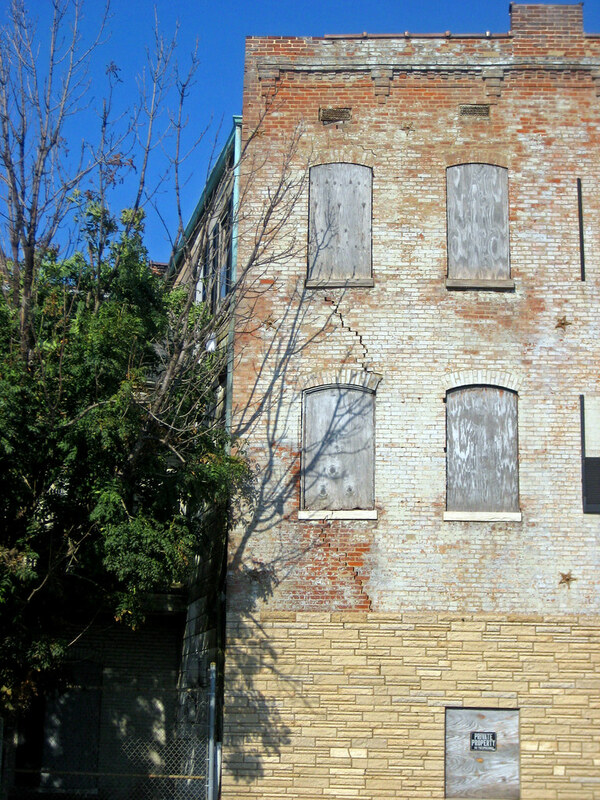 A neighborhood which once had hundreds of such buildings is left with fewer than a dozen scattered on several sites. Unfortunately the landscape below just to the west at Victor & Second Streets has become the more common scene for Kosciusko and is now mirrored at the east end of the block where the building above stood until recently. Last night at a meeting of the Special Administrative Board of St. Louis Public Schools, Superintendent Kelvin Adams outlined measures to cut $57.6 million in order to balance the budget for next year. Additionally he outlined how a one-time federal grant to turn around 21 underperforming schools, including Mann Elementary, would be used. 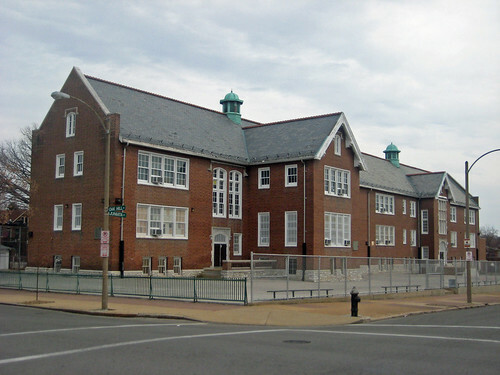 Last year, SLPS announced the closure and potential demolition of Mann Elementary in Tower Grove South in 2011 as part of a larger group of closures that was recommended by consultant MGT. Instead of closure and potential demolition, under the new "Turnaround" plan, Mann would get a new principal and teachers would need to re-apply for their jobs, with no more than 50% being hired back. For now, it seems that the lack of available money has forced SLPS to drop its plan to close and consolidate six elementary schools, including Mann, and build two new larger schools (one had potentially been slated for the site of Mann). Six schools were recommended for closure including: Alternative Ed South at Lyon, Bunche International Studies Middle, Ford Branch, Gallaudet, Pruitt Middle, and Fresh Start at Turner. The full list of recommendations can be found in this mornings Post Dispatch. Recently the St. Louis Post Dispatch ran a three three part series entitles Can St. Louis Compete. 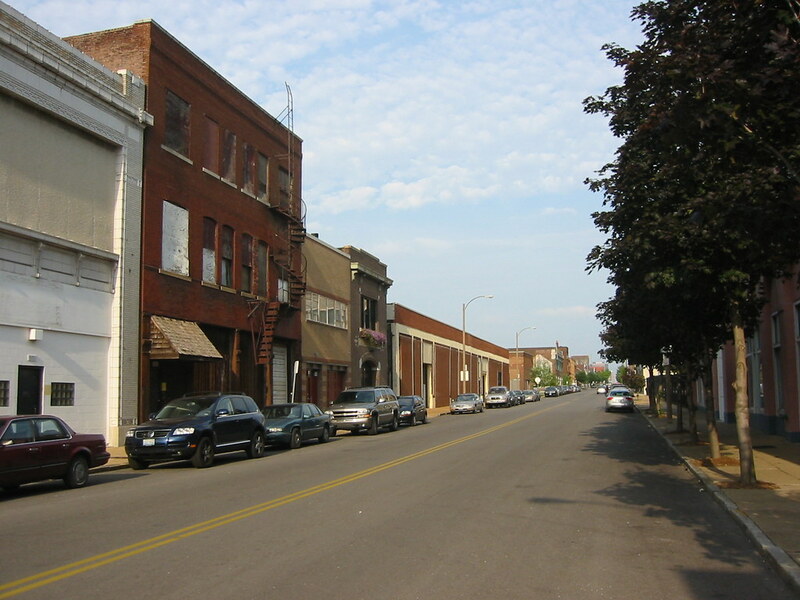 In the final article, Time to Act is Now, cited a key factor in the ability of the St. Louis region to grow its work force and population: retaining a greater percentage of the 23,000 college students that earn a four-year degree in the St. Louis area every year, many of which come here from other metropolitan areas. The key to doing this is getting students engaged in the community that surrounds the universities, making students feel "at home" and invested in their surroundings. When they graduate, if students have built an appreciation for St. Louis, more might be likely to stay here instead of moving on to other regions. 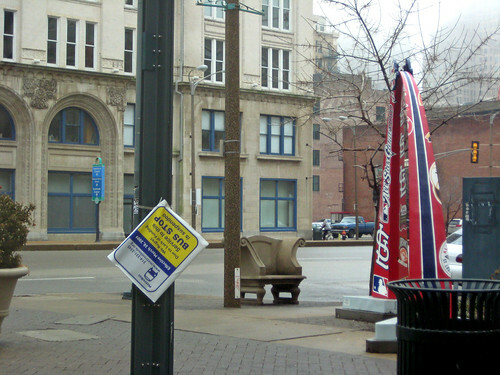 While there are many facets to how a university can sell its students on St. Louis, how the university treats it surroundings chooses to invest outside the campus proper can play large role in how students perceive the city around them. Looking at how two of the regions top colleges, Washington University and St. louis University interact with their surroundings, there is a severe contrast. 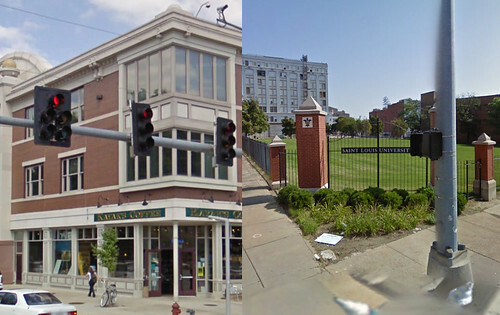 Wash U invests heavily in the communities around both the main and medical campus, whereas SLU responds to the city surrounding its campus' by removing it; demolishing buildings and replacing them with either surface parking or empty grass lots, creating isolated fenced compounds for its students. The business section of Friday's Post highlighted some of Washington University's outreach and investment in its surroundings including the renovation of an underutilized building at Delmar and Skinker (photo above) for student housing over retail space. For years Wash U has purchased and maintained dozens of historic apartment buildings in both St. Louis and University City through its subsidiary Quadrangle Housing. Many buildings in the Parkview Gardens neighborhood north of the Loop that were once burned-out, abandoned and boarded are now home to Wash U students. While the Loop has lost its reputation as an edgy cool place to hang out that my friends and I enjoyed in our youth, the influx of Wash U students living in the area has been a contributor to the areas revitalization. The environment that exists in the Loop today no doubt has an effect on Wash U students here from out of town and I would speculate that living and interacting with the neighborhoods around the campus has contributed to some students decisions not to leave the region after they graduate. 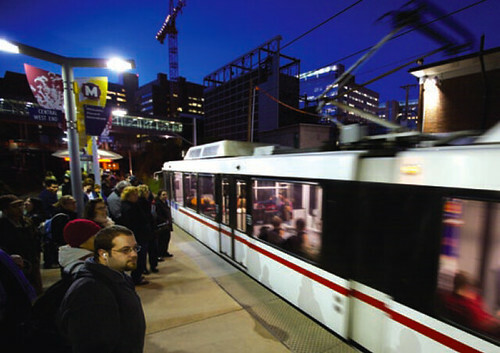 Another thing that WU does to encourage students to interact with the city is providing them with free Metro passes. I am not sure if SLU does the same. 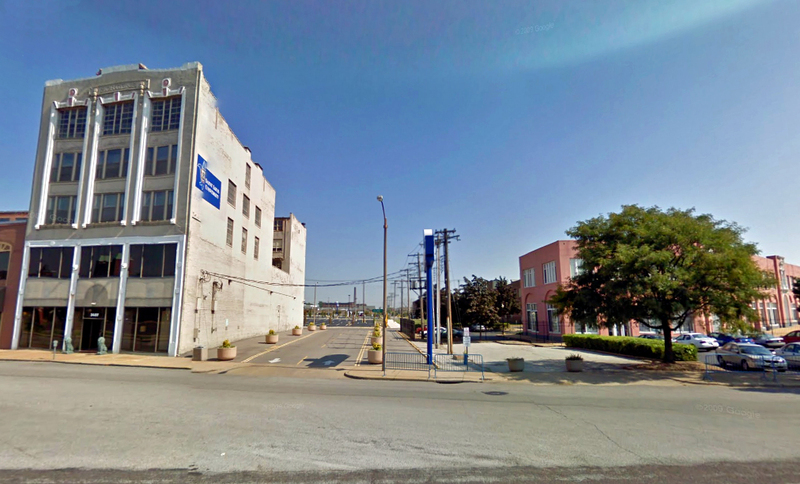 In contrast, in location after location St. Louis University has acquired properties around its main campus, removed buildings and left fenced vacant lots or asphalt parking lots in its wake. Instead of investing in the areas around campus, most of SLU investment has been in increasing the size of its compound and in the process reducing density creating a sterile office park or even prison like feel with its ubiquitous black fences. Instead of nurturing what is there and adding to it, SLU's mentality when it has contemplated investing in mixed use development outside its walls has been clear cut and wait for a big project to magically materialize. A significant example of this it the intersection of Grand and Lindell. 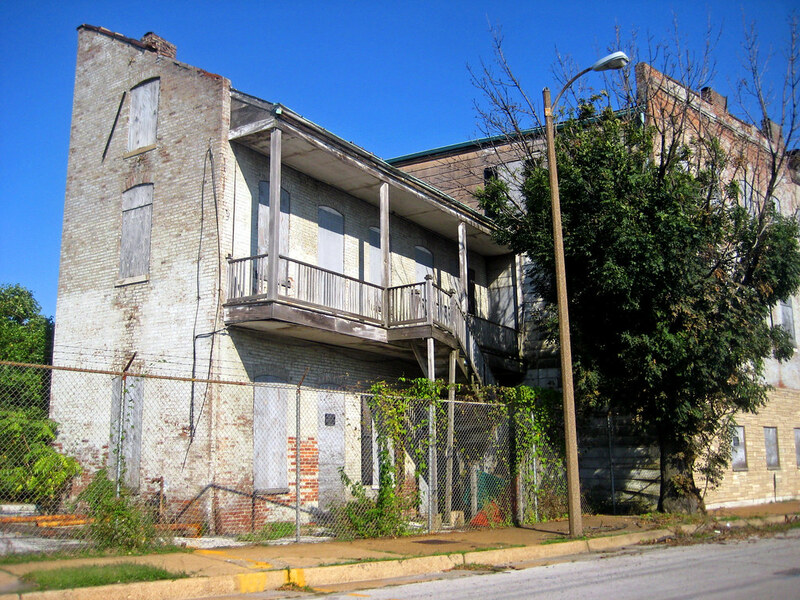 SLU bought the historic Marina building on the northeast corner and instead of renovating, kicked out the remaining tenants, demolished it and a neighboring building then even after receiving numerous proposals for development, failed to spur anything to happen there during the most favorable real estate development market in decades. Now even as the economy begins to sputter back to life, it will likely be years before anything happens there. This failure could have been an opportunity to link its students to Grand Center and help re-activate that area, instead it perpetuates isolation of the university from the City around it. On the southwest corner of the same intersection, SLU bought a bank building (that was a historic structure hidden under a layer of plain stucco) and demolished it for a lifeless plaza and fountain. 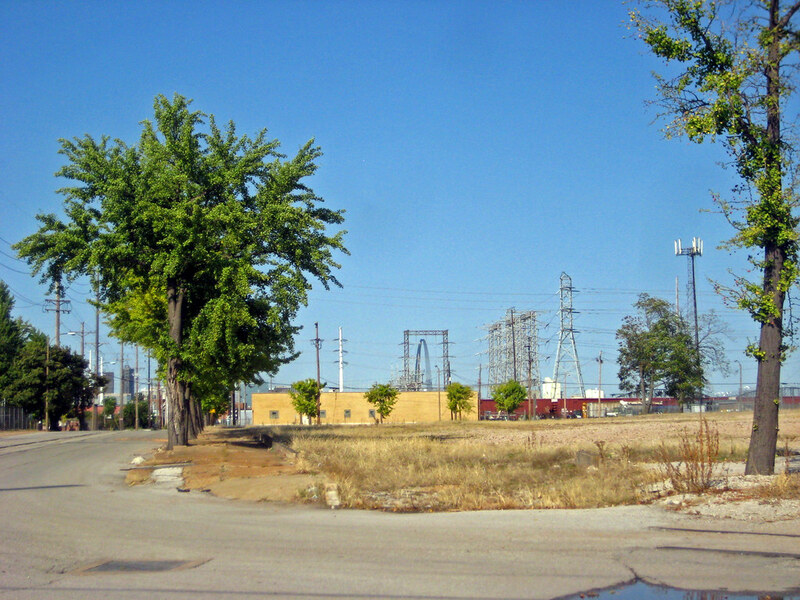 Over on Locust and Washington, east of Grand, SLU demolished several buildings including a historic livery stable for surface parking lots, cutting an asphalt moat between its students and the revitalized Locust Business District that has emerged in recent years with a series of small developments. What kind of message does SLU's development (or should I say destruction) mentality as well as its fear induced iron fence barricades send to its students about the City around them? How many students move away after their experience at SLU because they have come to think about St. Louis as a reflection of the lifeless surroundings around SLU's main and medical campus'? 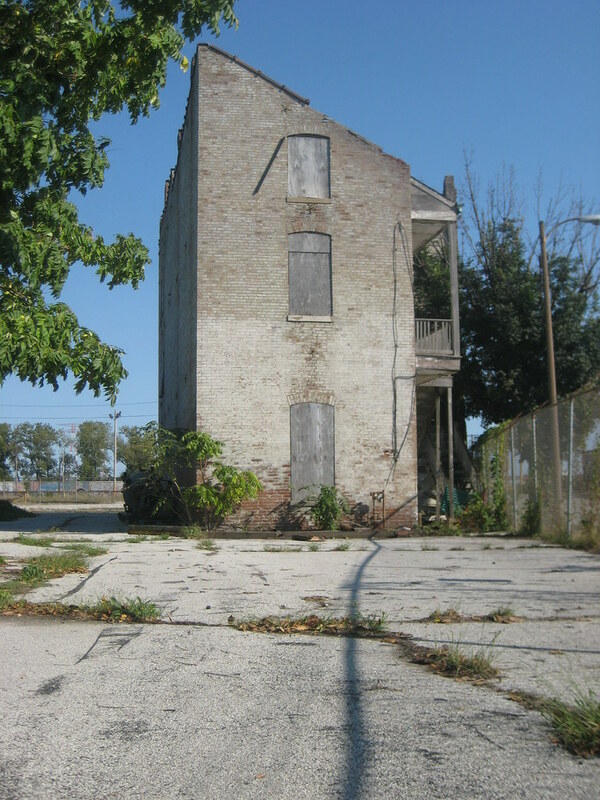 Fortunately, private developers such as the Gills and Jasson Johnson have capitalized on development opportunities, attracted students to live off campus and created nodes of activity near St. Louis University. It may be possible that SLU is slowly changing their tune about how it invests in the neighborhoods surrounding them. Steve Smith of the Lawrence Group has gotten SLU to be an investor in a new boutique hotel where Olive splits off from Lindell Boulevard, and over on Locust, SLU is renovating two small buildings east of the Livery Stable location that many feared would come down for more parking. Lets hope this effort is not to little, too late. THANK YOU to the 94,294 voters in St. Louis County for voting YES on Prop A and ensuring that transit service in the St. Louis region does not vanish into thin air along with many talented people who would have seen failure as a sign that St. Louis was on a downhill slide. Instead, you proved that St. Louis can became the great place we all know it can be. You cannot have a great region without great transit. Imagine a St. Louis without Metro, a St. Louis without transit. 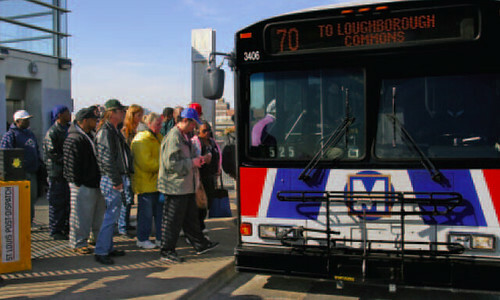 While failure of Proposition A would not mean the total elimination of transit in St. Louis, it would mean severe cuts, likely much deeper than those made last year before a one-time temporary funding partially restored what had been cut. This would mean elimination of many more bus routes and cuts in service to remaining bus routes and MetroLink. This would mean longer waits for all transit riders including myself as well as overcrowded busses and trains. Allowing transit service to be cut to this extent sends the message that St. Louis is willing to settle for being a third rate region. With the recent series in the Post Dispatch illustrating the difficulties St. Louis has competing with other cities, this would be the wrong time to send a negative message about the direction of our region. For graduates of Wash U and SLU, this would be one more reason to not stay in St. Louis. For others who rely on Metro to get to work, it could mean losing their job ant trying to find something else in a tough market. This vote is about whether we step up and compete with cities like Philadelphia, Boston, Atlanta or Portland, all of which have excellent mass transit systems. Major cities in America that are growing and thriving today are ones that are investing in transit. Transit provides the only way to work for a lot of people in St. Louis County, and provides many more with an alternative option to driving. 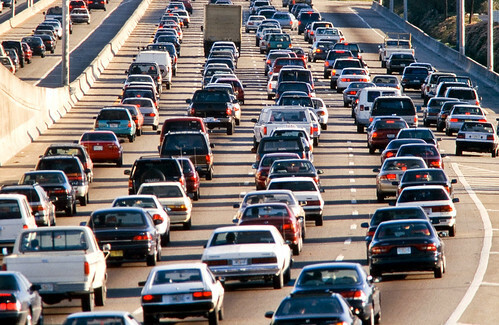 As we have seen before, oil and gas prices will likely continue to rise, making transit an economically attractive alternative as well the environmentally prudent choice. 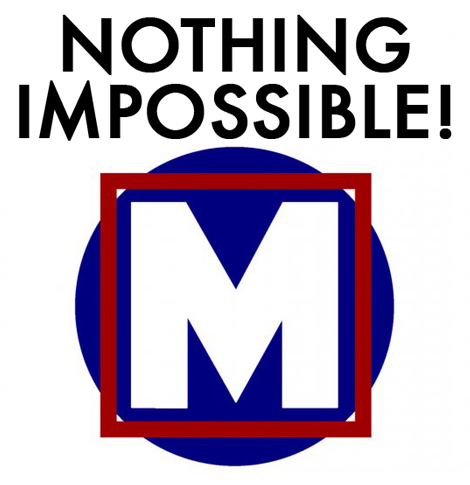 Like many who read Vanishing STL, I live in the City of St. Louis and cannot vote Tuesday to support Metro, but please remember that the City of St. Louis passed its transit tax in 1997. Our tax will go into effect when St. Louis County’s tax passes, so we are ready to pay our fair share for a better St. Louis Region. If you live in St. Louis County, I ask you to please vote YES on Proposition A next Tuesday and to urge your friends and family to do the same. If you live in the City, talk to your friends and family in the County. Thanks!